Note: This is a sponsored post in collaboration with MXED. Starting your own store through dropshipping is one of the most accessible ways to start an ecommerce business quickly and inexpensively, however, finding dropshippers that supply the exact products you want to sell can sometimes be a challenge. This is especially true for entrepreneurs who want to sell licensed pop-culture merchandise such as Star Wars, Harry Potter or Marvel branded products, as many suppliers and businesses simply don’t have legal access to sell licensed versions of this merchandise. But, now that MXED has launched for Shopify stores, ecommerce businesses will have access to all these popular licensed products, legally, so they can sell them to their customers. MXED is a solution for ecommerce entrepreneurs who are interested in selling pop-culture merchandise to their customers but haven’t been able to due to strict licensing laws and policies. 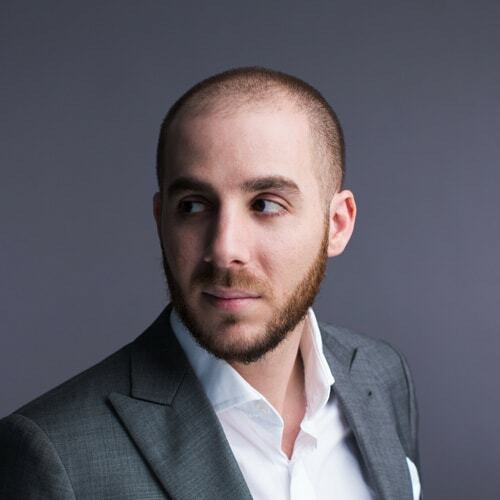 Up until now, it’s been notoriously difficult for ecommerce businesses to legally acquire branded merchandise to sell to their own customers since popular movie, TV and video game franchises were typically very selective of which businesses could sell their products. 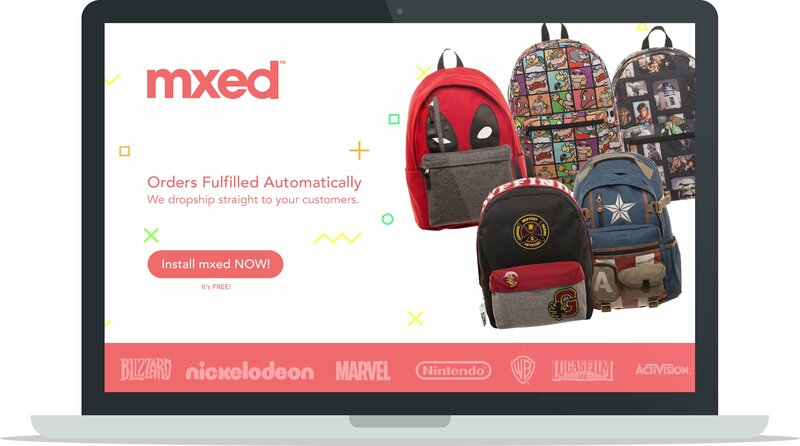 But MXED provides a huge selection of official pop-culture merchandise from familiar movie, TV and video game franchises that Shopify store owners can easily sell directly from their ecommerce stores and dropship straight to their customers. 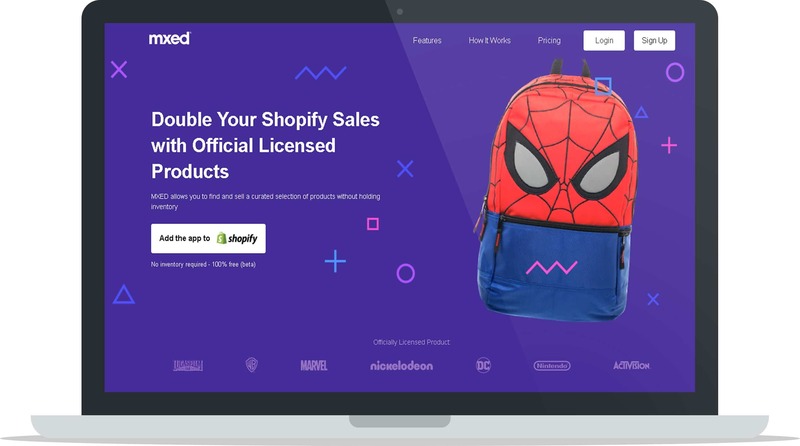 To learn more about how MXED can offer officially licensed merchandise for businesses to dropship right from their own Shopify stores, read on. 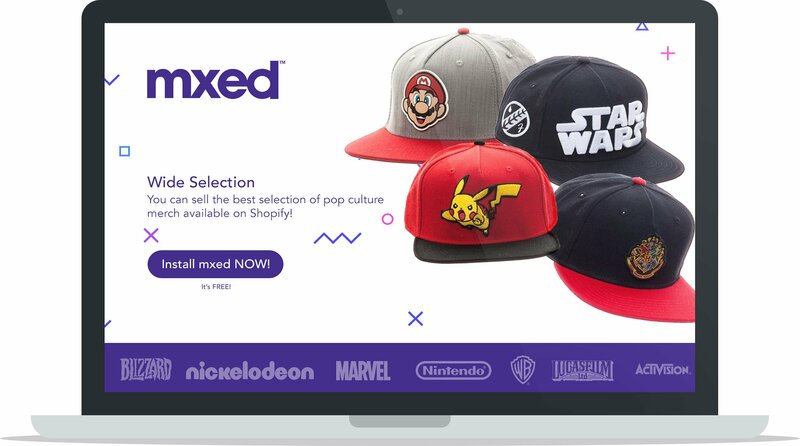 MXED allows you to quickly and easily sell officially licensed pop-culture products within your Shopify store. They operate like any other dropship supplier: you add their products to your store, your customers purchase the products, your customer’s orders automatically forward to MXED, and MXED fulfills and ships the orders directly to your customers. The major difference between MXED and other dropshipping platforms is the product selection they’re able to provide. There are currently no other dropship suppliers that offer a selection of officially licensed pop-culture merchandise, and that’s what sets MXED apart. MXED came to existence due to a collaboration between Bioworld, which is known as a leading supplier of licensed pop-culture accessories and apparel, and Oakland based company Hingeto, a Y-Combinator backed dropship platform that helps brands take inventory risk out of retail. Pair the two together and you have a powerful combination of great products and a reliable fulfillment service that created the MXED app so all Shopify stores could integrate with their service and sell exclusive products to their own customers. MXED is for Shopify ecommerce merchants interested in selling licensed pop-culture merchandise to their customers through dropshipping. Up until this point, it’s been a struggle for ecommerce entrepreneurs to source and sell pop-culture products legally. At A Better Lemonade Stand we’ve even had past instances of business owners contacting us inquiring where they can legally source official products from popular franchises such as Star Wars, and we’ve had no suppliers to recommend them simply because a service like MXED did not exist. What MXED can offer ecommerce entrepreneurs is the opportunity to finally engage with consumers by selling high-converting products from popular brands, without the risk of infringing on trademarks. 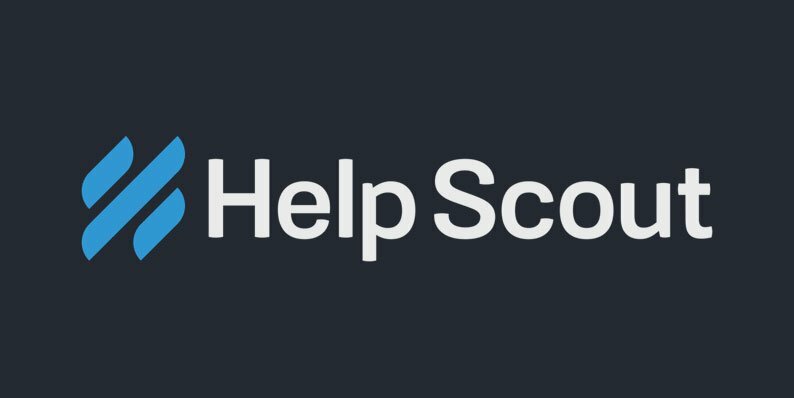 This truly is going to be a game-changing service for ecommerce entrepreneurs interested in tapping into this market. To make their service even more accessible to all ecommerce entrepreneurs, MXED products are available through dropshipping so there are no upfront costs to acquire inventory, there’s no inventory management required and businesses don’t have to ship products themselves. This way even first-time ecommerce business owners can use MXED easily without having to invest any amount of their own money upfront for inventory. 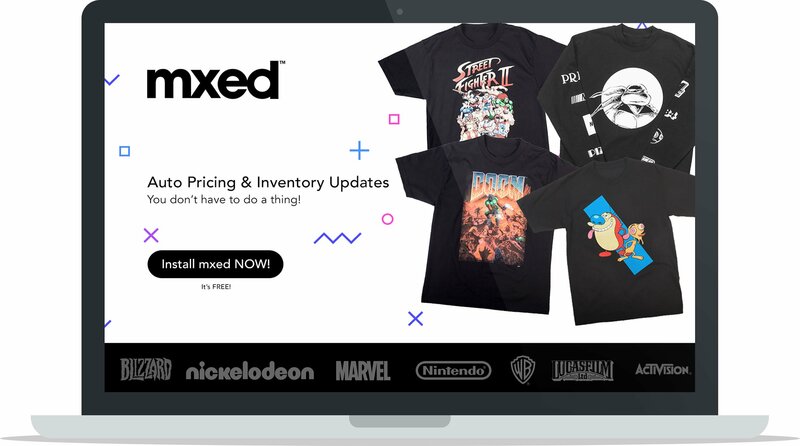 MXED provides ecommerce business entrepreneurs with the tools to curate products from their wide selection of accessories and apparel from popular movies, TV shows and video games and add them to their stores with only a few clicks. 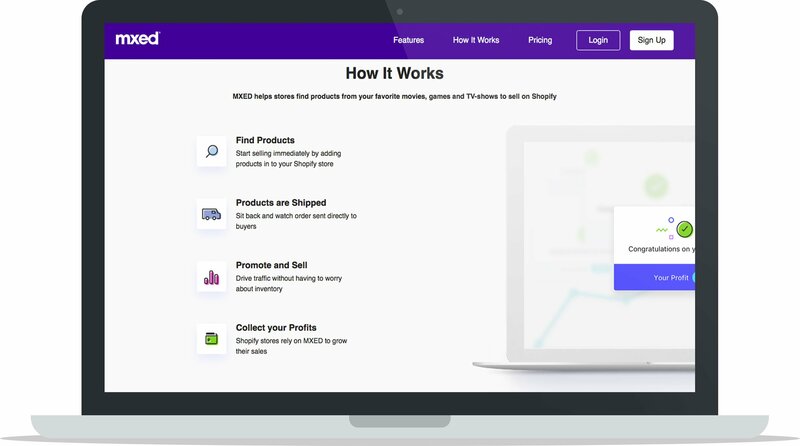 Simply integrate the MXED app with your Shopify store, select and sell your preferred products, market them to your customers and MXED handles everything else from shipping, logistics, inventory management and manufacturing. Since the MXED app was created in partnership with Bioworld, a leading supplier of licensed pop-culture accessories and apparel, you can imagine the selection of products they’re able to provide. No matter what kind of products you’re looking to sell your customers, whether it be t-shirts, hats, backpacks, etc, there’s more than enough choice for you to kit your store out with as much or as little product as you want. Stick to selling one of these brands exclusively on your ecommerce website or offer a range of merchandise from different brands, the choice is yours. There’s no limit to the amount or types of product you can sell in your own store. MXED provides a wide range of products to choose from, all you have to do is narrow them down and curate them to fit your brand and your target market’s interests. Since the other half of the MXED app is headed by the Hingeto dropship platform, you don’t have to worry about handling inventory – ever. This is a huge barrier-to-entry removed for ecommerce businesses who don’t have the time or the funds to handle bulk inventory, and it makes it easier for businesses to manage other aspects of their store while they leave the inventory management logistics up to the experts. When orders are received automatically through the app, the MXED team can immediately start picking and packing the orders and will ship them directly to your customers within 3-5 business days. No need for any input or direction on your part, MXED handles all the shipping and logistics on their end quickly and automatically. Integrate the MXED app directly with your Shopify store so you can add products quickly, literally in just a matter of clicks, and communicate orders between your customers and MXED efficiently – as in, it’s all automated. MXED integrates directly with your Shopify store so there’s less room for lost orders, miscommunication and human error so you can run your dropshipping business smoothly, automatically and seamlessly. MXED automatically updates their product inventory and pricing so you’re always in-the-know when products are or are not available, and you’re constantly aware of any price changes or updates so your profits will never be compromised. The main advantage of using MXED’s service is that there’s currently no other service like theirs in existence. What they’re able to offer ecommerce store owners is relieving a major pain point because in the past no company had been able to supply licensed pop-culture merchandise through dropshipping, which limited many ecommerce store owners from selling the products they’re interested in selling. In terms of disadvantages, MXED is a new app that’s only just launched this year so they currently only integrate with Shopify stores, and they only offer their products through dropshipping so there’s no wholesaling or manufacturing option for businesses who are potentially interested in sourcing their products on a larger scale. In order to use the MXED service and access their selection of products for your Shopify store, you must select one of their monthly payment plans. 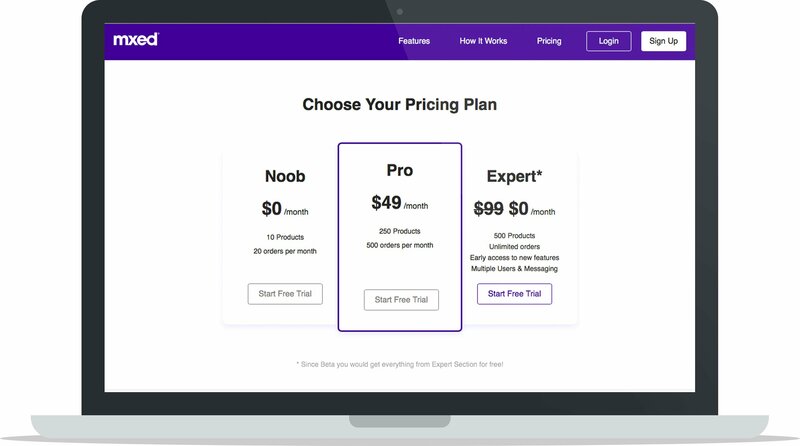 Expert: $99, 500 products, unlimited orders per month + early access to new features, multiple user accounts and messaging capabilities. MXED is the leading platform for entrepreneurs to search, find and sell officially licensed pop-culture merchandise, and it’s the first service of its kind that is accessible to all Shopify store owners without the risk of purchasing, handling and managing inventory. The MXED app is a huge breakthrough for ecommerce business owners who have always wanted to sell official pop-culture merchandise from the likes of Star Wars, Harry Potter, Marvel franchises, and more, and it’s going to set a new standard for the way ecommerce businesses source and sell licensed merchandise legally in an accessible and risk-free way. 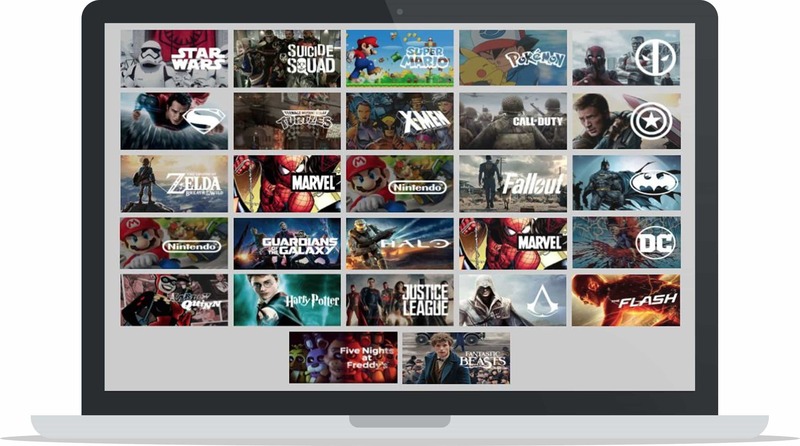 If you’re a business whose target market is interested in pop-culture merchandise from popular franchises, or if you’ve always been interested in selling these kinds of products in your own ecommerce store, then we highly recommend checking out MXED. That is so cool ! Is there a way to consult their catalog outside shopify? This is so good!! But can I use this app if im from the UK? If not, do u know when it will be available for the UK? I want to start with this app ASAP!! Take a look at Stripe Atlas for getting a US bank account. If you need a US postal address then take a look at USAaddress.com. could i be able to connect with Richard on LinkedIn? So does it mean the merch is only available for shopify store owners?